Prior to forming DAY CPM, Mike Day provided CM/GC and complete construction administration services for this 1,684-bed, medium security women’s prison in Wilsonville, Oregon. The 425,000 square foot facility also houses the State of Oregon’s DMV call center. Site development of nearly 116 acres required extensive road infrastructure improvements, utility upgrades and a new water treatment facility for the City of Wilsonville. The women’s prison includes state-of-the-art computer security and system controls, a medical treatment center, inmate rehabilitation facilities, and a full-service commercial kitchen. 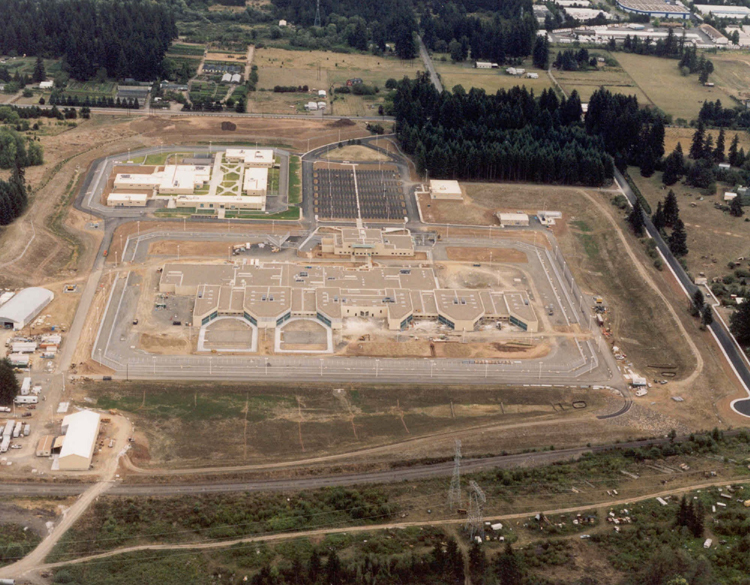 In 2002, the Coffee Creek Correctional Facility won honorable mention as the top public project in Oregon by Northwest Construction Magazine.